Brooklyn based Grado Labs is no stranger to building world class headphones. The company started by Joseph Grado has been building headphones from the affordable to the ultimate sound for many years. The company is now run by John Grado, who had lived on the third floor with his family, and is currently the chief designer, as well as being at the helm of the legendary company. John has spent two years in research and development to to come up with the finishing touches for the new PS2000e reference headphone. Thanks to the recent boom in personal audio, the headphone is now entering a crowded field of outstanding reference headphones, with many costing up to $6000. The challenge was to design a headphone that could compete with the planar designs and other reference dynamics at a more affordable and competitive price point. The PS2000e looks similar in many ways to the PS1000, but that’s where the similarity ends, with the PS2000e offering a new and improved reference sound. The Grado design uses both metal and maple wood over the drivers. The PS2000e employs a beautiful metal alloy finish over the maple wood structure of the headphone. The maple wood is not visible as it is encased in a propriety alloy over the maple cup that helps dampen the wood. The pad design uses the traditional bowl style pads designed to fit over your ears and give you a good seal. The headphone is not light, but the fit on the head with the bowl pad design, feels light and balanced. Though it took some time for me to adjust to the different pad design, overall the fit is now comfortable to wear during long sessions. The wire used in the design is all selected for sound quality and carefully soldered to the inside of the drivers, hence the cable is not removable. The permanent cable on my review unit was a single ended termination, but the PS2000e can be ordered with a balanced cable for people needing XLR terminations for their gear. The adjustable headband is made from fine leather and easily adjustable. The 32 Ohm headphone has a frequency response of 5-50,000 Hz and the 99.8 DB at 1mW efficiency makes this an easy headphone to drive. The packaging is the traditional cardboard box used with all Grado products and Grado includes a single ended extension cord for people needing the additional reach for listening. Once the fully burned in review pair arrived, I fired up my VPI 229D and started to listen to various albums, using either the Marantz SA10 SACD player or Modwright Oppo UDP 205 as my primary source. I had all AudioQuest cables including the Wind interconnects on both players and had given myself some time with both the headphone and different sources to hear exactly what the headphone was doing. Power cords were all Nordost Blue Heaven with AudioQuest power conditioning. 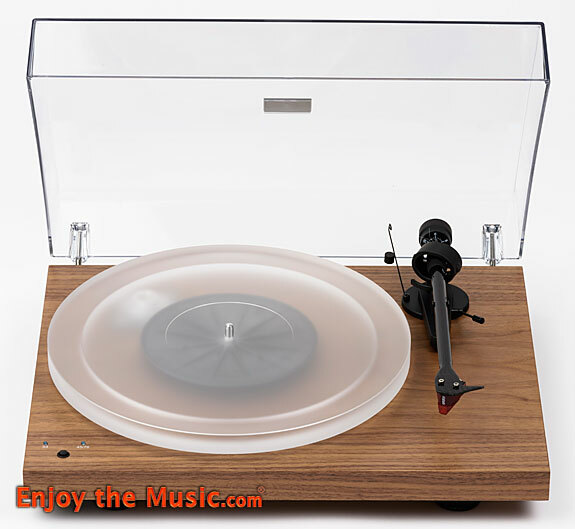 Vinyl records were also used on my VPI Prime Scout mounted with the Grado Black $75 cartridge and my reference Ortofon $750 Black 2MM on a second arm. Music used included streaming lossless files from Tidal, CD and SACD, accompanying the vinyl. All high end cables were from Audioquest, Moon Audio and Nordost Cables, also included was the Dana Lazuli on the Susvara and Himan HE1000. Once I cued up the Modwright modified UDP 205 and put on the Playing with Fire recording from Reference Recordings, I heard the blazing speed of the dynamic transducer. The balanced presentation was transparent with planar levels of transparency and speed, which is unusual for dynamic drivers. Jim Cullum ‘s Jazz band was spread out in a defined soundstage with exceptional air and space between the musicians. The treble extension soared and was never bright or harsh. The soundstage was special, with excellent pinpoint imaging and space between the musicians. The layering of the orchestra was spectacular as each section was in its own defined space. The band was spectacular and this recording sounded live and what kept creeping in when I was focusing on the music and critically listening, was how the PS2000e was able to unmask tiny details clearly. I was hearing inner detail that I had not noticed using other headphones. The VPI 229D tube amplifier was synergistic and a good match for the Modwright Oppo UDP 205. The high hats had air and space but you could also hear the shimmer of the cymbals as you would experience in a live performance. The fast start and stop of the band was exhilarating and the P2000e was able to recreate this performance with a dynamic sound that was exceptionally clean and impressive with the amazing speed of the driver. Dynamic passages in the recording had outstanding transparency and the sound reproduction was spectacular with musicality and the PS2000e nailed the tonality of the instruments. The treble seemed to have amazing extension that kept going higher and higher. The instruments all had body and definition while the tonality was so accurate in reproduction and made the listening sessions non fatiguing. Switching over to the Woo WA33, the reference headphone amplifier stepped up the performance a notch. Inner detail retrieval was more noticeable when I played Hugh Masekela’s “Mandela” from the Hope album. The PS2000e was alive with exceptional speed and the French Horn never was harsh, highlighting the transducers exceptional tonality, as it nailed the sound of this instrument. The speed of the transducer showcased the dynamic performance of this exceptional recording. Alison Krauss’ Forget About It SACD disc is a sensational recording. Using the Woo WA33 once again taking full advantage of the transparency of the transducer, the voice of a angel was in my listening room. The detail of Alison’s vocal, once again, through the PS2000e was exceptional. I could hear details in the recording that stood out as the minute details were all so clear, when called for the dynamic driver always responded with exceptional speed unmasking the inner details of the recording easily. The sound had everything you could ask for in musicality and tonality and omitted nothing from the performance. The PS2000e reproduces vocals and at low listening levels the sound was so seductive and alluring. The PS2000e reference headphone from Grado Labs is an exceptional headphone. The midrange, treble and bass all were integrated and well balanced in delivery of the music. The ability to extract detail from recordings was exemplary. The bass had impact and with large scale recordings the speed and soundstage were all world class. The fast dynamic response made all large scale recordings come alive and a treat to listen to. Listeners who appreciate classical music and dynamic recordings will appreciate the transducers wide soundstage and layering. The air and space between musicians was well defined. The imaging and space with exceptional layering showcased every piece of the orchestra. When I closed my eyes I could feel the excitement of the orchestra and the speed and dynamics of the PS2000e always delivered the majestic performances with musicality, imaging with a first rate clear picture of the musicians and their individual sections. The outline of each section and musician was excellent and the air between the instrument and musician was special. The PS2000e never let me down no matter what type of recording or genre of music that was playing. Whether it was a rock recording or a small acoustic folk ensemble, it always delivered exceptional musicality. Comparing it to to other more expensive planar designs, the PS2000e never embarrassed itself and was able to compete with the top tier designs. The fact that it was a dynamic driver and not planar magnetic, the speed of the driver in itself is a testament to the work that John Grado put into the design. So what did I find that listeners may not like with the performance of the PS2000e, many people will find that it can be ruthlessly revealing. Listeners will need to carefully select which amplifiers and DAC’s to use. High quality electronics and cabling will pay big dividends in perfomance. If you skimp in any area, the PS2000e will highlight the weakness in the chain and you will be able to hear both good and bad. If you use a bright DAC the sound could be harsh, but selection of the right DAC and amp will reward you with musicality. The other issue worth mentioning is the bowl pad design will take some time to feel comfortable. The pads could feel a little uncomfortable at first but after a while (few weeks) I never had any of the early discomfort I had experienced when I first started my listening impressions. The PS2000e balanced sound with exceptional transparency showcased the talent of the the folks at Grado Labs. John Grado spent two years working on this $2695 reference headphone and the results are all evident and he has successfully fixed the issues with prior headphones. The PS2000e has exceptional musicality and was never bright in my system. The tonality of instruments and its world class sound-staging never disappoints. The ability of the transducer to extract everything out of the recording is amazing. The speed of the dynamic driver competes with any other design whether it be a planar magnetic or electrostatic. Looking for a reference headphone is never easy but can be a rewarding journey. The fact that we now have so many choices makes a music lover dream come true. The companies have stepped up their R&D and are building some of the best transducers we have ever experienced. The PS2000e is one of the worlds best headphones. This amazing headphone, priced at $2695, is a true reference headphone that competes with the worlds best designs. Highly recommend for any music lover.